You can find scary videos on the internet, and it's easy to spend quite a bit of time watching these free clips. The scariest video clips are both entertaining and frightening, some feature apparitions while others are of spirit orbs. The following 5 video clips chronicle some of the scariest videos on the internet. Some are short films made specifically to scare viewers while others are videos of what the person claims to be a real ghostly encounter. This isn't a typical ghost caught on tape type of video. It is a film done in traditional horror style, but is very effective as a scary video! A woman sees a ghostly figure every time she turns off the hall lights. Don't turn off the lights! You may have heard about the Deerpark Christian Brother's School official YouTube channel posting a CCTV footage of what appears to be an angry ghost making itself known. You can see and hear the door open at the end of the hall and then slam closed with great force. Soon after, a locker violently rocks back and forth as though it will turn over then abruptly stops. Next, a locker is opened and papers are strewn on the floor. You can hear a clicking sound as though something is dripping or someone is tapping a cane or something on the floor. The final upset is the wet floor triangle that appears as though someone bats it away, sending it flying into the air. Is the video a well-staged hoax or did the school capture something amazing? While it is presented as one of America's Funniest Home Videos, no doubt the poor little boy in this video didn't see the humor when his dad scared him. The young boy is making a video about a faux news report when his father appears wearing a Jason mask in the window pane behind the child. The poor kid runs away screaming in terror. Warning: Don't scare your children like this. It really isn't funny and may damage their trust in you. This disturbing video shows a little girl who becomes terrified of something she sees. Her sister laughs at her until she too sees the same scary thing and joins her sister screaming in a panicked terror. The scariest thing about this video is how the mother laughs at her frightened children instead of trying to console and comfort them, making the video even creepier. CNBC features a short video interview of humanlike robots with facial expressions that are very creepy and scary to many people. With eye cameras and AI that allows the female robot to learn, the inventor claims the robot will have the capability of becoming as conscious as a human. There are many other scary videos you can find to watch. Just be sure you aren't alone when you do. You can find several articles with links to scary videos on Love To Know. Visit some very scary haunted house videos. If you get too scared, take a break with some funny ghost videos. These are outtakes of 10 tapes supposedly lost and later found. It is difficult to see parts of them, but they are scary if all are real as claimed. The clips feature a couple of stalkers, a pair of teenage murderers bragging about killing a young girl. They were convicted based on the video and one is supposedly the outtake of an actual murder of four 17-year-old boys. This video features several disturbing and scary events. The first is a dark figure crawling around a Brazilian prison wall. Another clip is of a strange pantry that opens on its own and upon investigation by a skeptic, an apparition of a person inside the pantry seen through the glass door is caught on video. A young girl is frightened by an invisible force the disturbs her drawing activity by tossing papers and pencils about the room. A clip of a man trying to track down why his dog and cat are frightened captures video of glowing eyes peering out from a dark room and sounds from the attic where things are thrown. The last clip is a security camera captures of a store ghost seeming to be inspecting a rack of clothes. You've probably heard about the random creepy laugh of Alexa that happens randomly at any time of day, but have you seen what happens when the AI creeps out little kids after they ask her to tell them a ghost story? Was Alexa just doing as asked? Yahoo: You can search video.yahoo.com for scary videos. Real Ghost Videos: The website presents a mix of various scary videos. Some people are true pranksters and go out of their way to capture the victims of their pranks on video. Below is a compilation of some pranks meant to be scary. Some are amusing and a couple didn't go quite the way the prankster intended. Halloween Party Greeters: The Ultimate Scare prank to unsuspecting party guests. Get the Money: The prank uses an ATM and a $20 for bait. Scare Gone Wrong: This prankster scares the wrong guy! Alien Babysitter: Scare Tactics set up a babysitter. Home Pranks: These are old-fashioned pranks that scare people. The Ring Scare: An unsuspecting class watching the movie The Ring and are scared by a prank. An optical illusion is not only perplexing but can be entertaining as you attempt to figure out just how it was created. Some optical illusions can also be very scary if you aren't aware at the time that it is just an illusion. Family Portrait: This video shows how an illusion can be transposed over a face. Keeping My Eyes On You: This one may make your eyes cross. Surprise Ghost: This is a video for the unsuspecting. Gettysburg Ghosts: This video has been the subject of quite a few debates. Are these real civil war soldier ghosts? Compilation of Video Clips and Photos: This video is a compilation of various claims of ghosts captured on film. Ghost Cat Attack: This video claims to capture a ghost. What do you think? Ghost in the Woods: Surveillance video captures something ghostly walking through the trees. Woman Sees Ghost: A woman sweeping the floor is startled by a shadowy figure. There's controversy among professional paranormal investigators over orbs. Some people believe these are the spiritual embodiment of ghosts before they manifest into the physical realm. Others discount all orbs as nothing more than dust particles captured on film or by a digital snapshot. Orbs and Photos: This video claims it is proof of spiritual orbs with intelligence. Orbs of Ghost: A video that shows orbs that may be ghosts. Winged Entity Captured on Video: The video claims to have captured a winged entity. What do you think? Ghost Hunters: A team of paranormal investigators checks out suspected haunted locations in the USA. Ghost Hunters International: Paranormal investigators explore suspected haunted locations around the world in this Ghost Hunters spinoff. Ghost Adventures: Three ghost hunters are locked up in haunted sites all night with no way out. Scare Tactics: This show involves professionally staged fright pranks hosted by Tracy Morgan. You can find different kinds of scary videos. 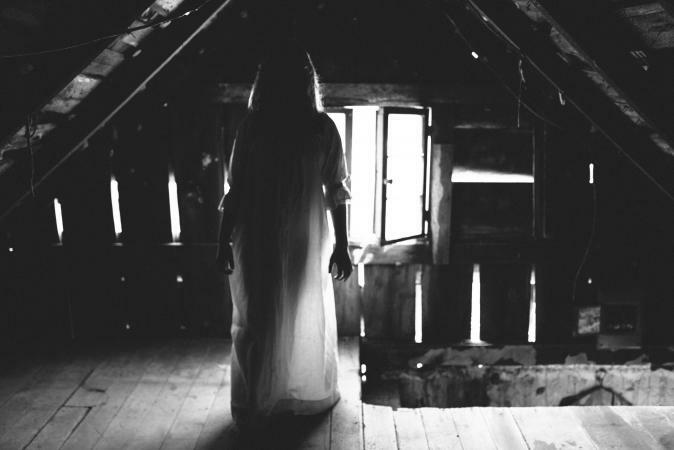 You may even be able to capture scary video, but you'll soon discover you're left with many unanswered questions about ghosts and haunted places.